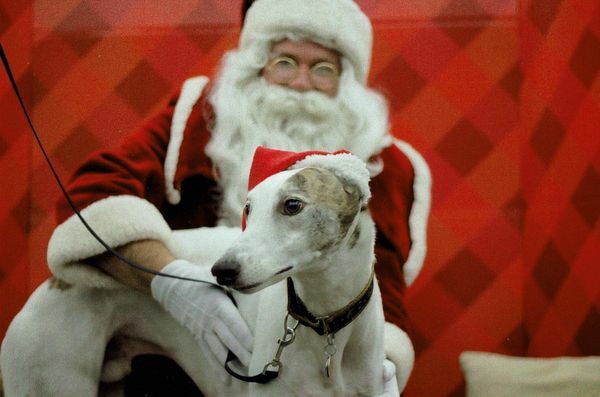 This year, Greyhound Pet Adoption Northwest will be at the Springfield, Oregon Petco store at The Shoppes At Gateway for Pictures With Santa. This will also be a GPA-NW adoption event. For just $9.95, we will snap a lovely 4” X 6” Keepsake Photo of your beloved pet. They make wonderful holiday cards! This is a fundraiser for GPA Northwest.